The most important education you can provide young children! Research into “How Children Learn” reveals that learning in children follows the below progression. Gymnastics is a fantastic activity for Gross Motor Skill development. Kids learn to run, jump, turn upside down in a safe environment using soft landing mats and age appropriate equipment. Active participation is central to the development of positive attitudes toward learning and the most affective way to learn. Active participation is the approach we use in LGA’s Preschool Gymnastics classes to teach children that they can succeed, that learning is FUN, and that they should always get up and try again. This is what is meant by developing a positive attitude toward learning. We believe that these lessons of life are far more important than teaching the perfect handstand and this is why we believe that gymnastics training at LGA is the most important education that you can provide for your child. 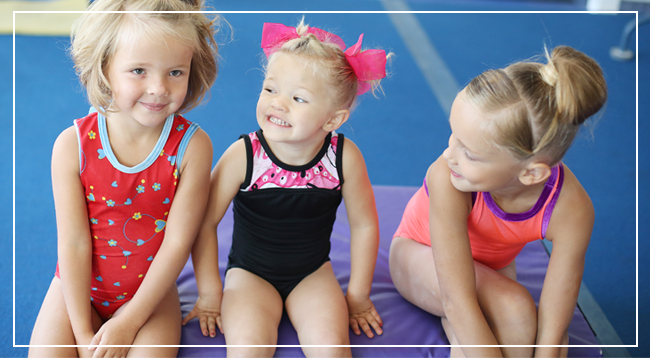 The Preschool Gymnastics program at Lawrence Gymnastics & Athletics is designed to compliment your child’s desire to learn new skills. LGA has preschool classes for children ages 12 months through 4 years of age. Lawrence Gymnastics & Athletics offers an exciting and challenging separate preschool area filled with colorful, child-sized equipment for your child to play and learn! 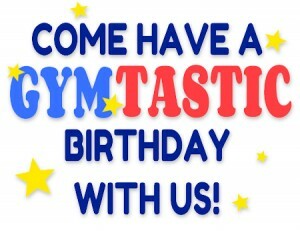 Each week we introduce a new, fun theme that will enable self-expression through the motion of gymnastics! Every class ends with pit and trampoline time, and a stamp. Parent Tot – Parent Participation Class 12 – 36 months old – 45 minutes. These classes are designed so parents can take an interactive roll in their child’s physical development. This semi-structured class focuses on gross motor skill such as jumping, running, balance using gymnastics equipment and activities. This is a perfect class for parent/child bonding time.